The Ontario 4 Corner Criterium was held on a short .7 mile course that runs on some of the same streets as the popular Grand Prix course. The Pro 1-3 race was only 60 minutes long, so the SoCalCycling.com Team was aggressive and made solid attacks throughout the race in an effort to get something to stick in the hot and humid weather. A break of twelve riders got off late in the race and with a few laps to go three riders escaped the break including Josh Ruiz (SoCalCycling.com Team), Julian Rodas (Incycle / Cannondale) and Ronnie Toth (PAA / Empire Bikes). With the break hot on their heals with one lap to go, they pressed forward so not to get caught and almost lapped the field in the sprint. 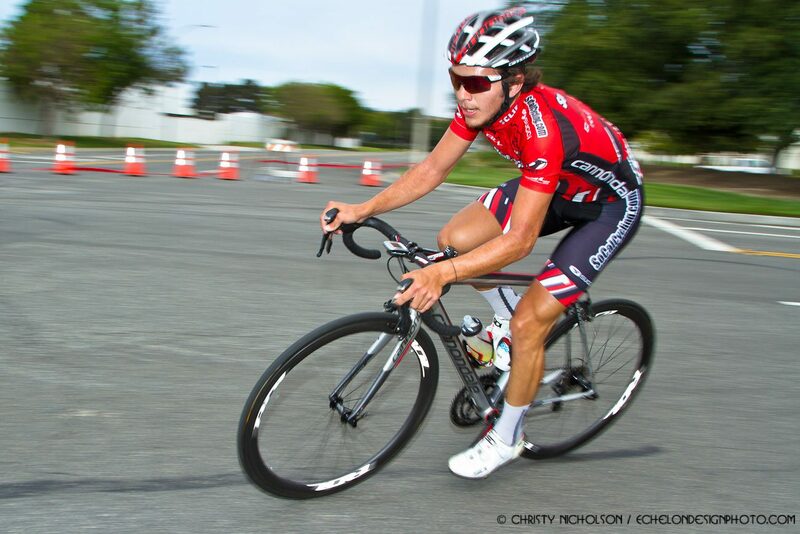 Ronnie Toth (PAA / Empire Bikes) took the win ahead of Josh Ruiz (SoCalCycling.com Team) in 2nd and Julian Rodas (Incycle / Cannondale) in 3rd.